More than a decade after launching DNJournal, domain investor and journalist, Ron Jackson, is turning the online domain publication into a meaningful, strong brand. “A lot of my readers complain that in the gTLD era, where brands are important and everyone is getting away from the .com, we’re still stuck in the Palaeozoic era,” said the DNJournal editor in chief, Ron Jackson. “But no worries, this is going to change very soon, as I’ve secured the best and shortest possible domain for DNJournal, that will take us to 2015 and beyond!” exclaimed Jackson. 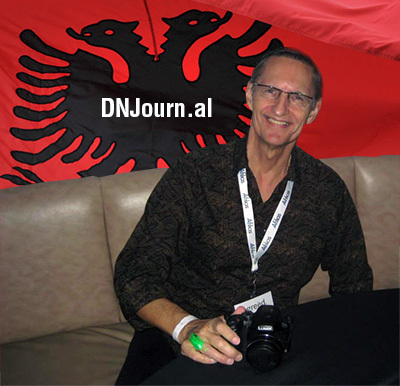 After forming a company in Tirana, Albania, Ron Jackson was able to secure the Albanian ccTLD DNJourn.al, thus utilizing the domain as a smart domain hack for the publication. Google treats Albanian domains as brands, starting this year; the SEO hit will be negligible and Ron Jackson’s domain name journal should recover within days, if not hours. “I was inspired by Elliot Silver who rebranded his blog from ElliotsBlog.com to DomainInvesting.com, and that was a ballsy move indeed,” said Ron Jackson. “I have not yet been to Albania, but I formed a limited company there using Marcaria. I hear they have great meat pies and delicious sheep yogurt there,” added Jackson, beaming. The DNJourn.al launch is scheduled sometime in the summer, as soon as Jackson zips up several hundred thousand photos and millions of domain articles currently in the DNJournal.com database. When are you going to change to domainga.ng .